Excellent service all round. Thank you, all seems well with battery, very reasonable price too. Excellent quality battery.. Had same one for past 3.5 years..I use it to run my pump for window cleaning reach & wash system. .go's straight on the changer when I come home & stays that way until next day..I use both the batteries for my days work so that using just one would over use it. ..using both daily way to go; one in morning & one in anoon. Tayna professional outfit! Excellent service and very prompt delivery. Packaging very good. Brilliant service!arrived before I had ordered it!? Speedy delivery and well packed, also customer helpline before purchase extremely helpful. No fuss installation and so far so good. 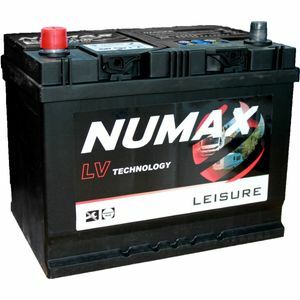 Excellent service, very quick delivery and the battery is very good so far. Highly recommended. As a marine engineer I looked at a number of batteries for my customers. I looked for a quality product, value for money and with a good warranty period. This battery was ideal for my requirements. Tanya, Thanks for the battery, also the service and the price ,,,, and not forgetting the customer service, all good,,,,, thanks, Evan.